I made this T-shirt a year ago, shortly after Sasha released her free Basic InstincT pattern. But it sat on a coathanger in my workroom for all that time without being worn. And there it hung, for one year, annoying me every time I walked in the room! Why so annoying? After all this was the most perfect fitting T-Shirt I have ever had. Sasha’s pattern is excellent – I recommend downloading it now if you haven’t already! I’m quite pleased with how this turned out. Cutting the stencil was the trickiest part as you have to be very neat, but I got there with a good helping of patience. The trousers I’m wearing here are my City Cargoes, made a few years back and still going strong! The sage green fabric for this T-shirt was purchased from Geoff’s Emporium along with a steel blue colour (pic below). I guess I should explain what all those other fabrics are. I snapped them up at Spotlight too for a few more Basic InstincT’s. Hopefully these T-shirts won’t take so long! Do you like T-shirts, or have you overlooked them like I have all these years? You have tempted me to make a T shirt or two, but I can’t get the link to the pattern to work. Can you help? Love your T and would love to know more about the final step. It looks absolutely perfect. Thanks for that heads up marysiap, I think I’ve fixed it now! Thank you Darling, have a fantastic weekend. Whoops, still no joy with the link my end. Could it have been removed from the website perhaps? Hi, I thought I would post an up-date and hope that is ok. 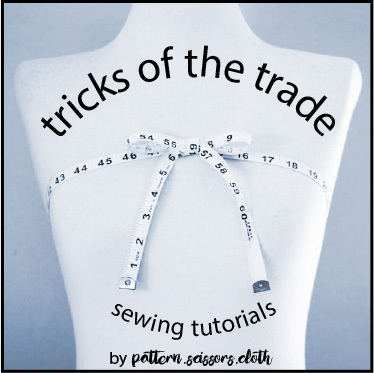 In order to gain access to the lovely pattern you need to go to Sasha’s site and register. You should then receive a link to download the pattern. Have a fun sewing week and thank you for alerting us to this lady. Thanks for the update Marysaip – I’m glad you found it, and I’m sure you will be happy you persisted!